A Shepherd's Heart: Your past, is Your Past...So, Don't live there anymore! 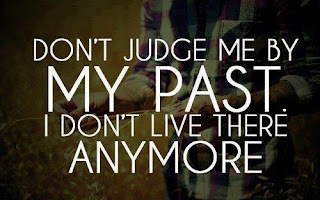 Your past, is Your Past...So, Don't live there anymore! 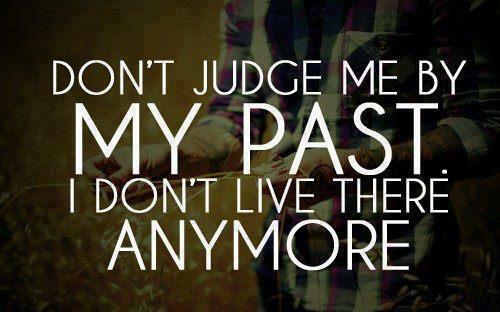 "Don't Judge me by my past, I don't live there anymore!" Praise God this is true of all of us who are in Christ as He holds not one sin against us and gives us the grace and the help through His Spirit to daily be renewed and daily take steps forward with Him for positive life change! Hear me when I say this - He is in the business of transforming hearts, minds & lives! This includes yours!! He is the key to life change! Stop kicking yourself for your past! Yes, learn from your past sins and mistakes but stop "going there"! You know what I mean?!?! When the evil one comes at you, remind Him of these truths and no matter the triggers that dredge up the past or the people who choose to dredge it up and live there just stop right now and Praise God that He is right there with you loving you unconditionally and directing/guiding you each day! Give these things over to Him! Walk in His truth and reach out to Him and your family in Christ if you need help along the way and remember - you no longer live in the past! Psalm 103:12 "as far as the east is from the west, so far does He remove our transgressions from us."